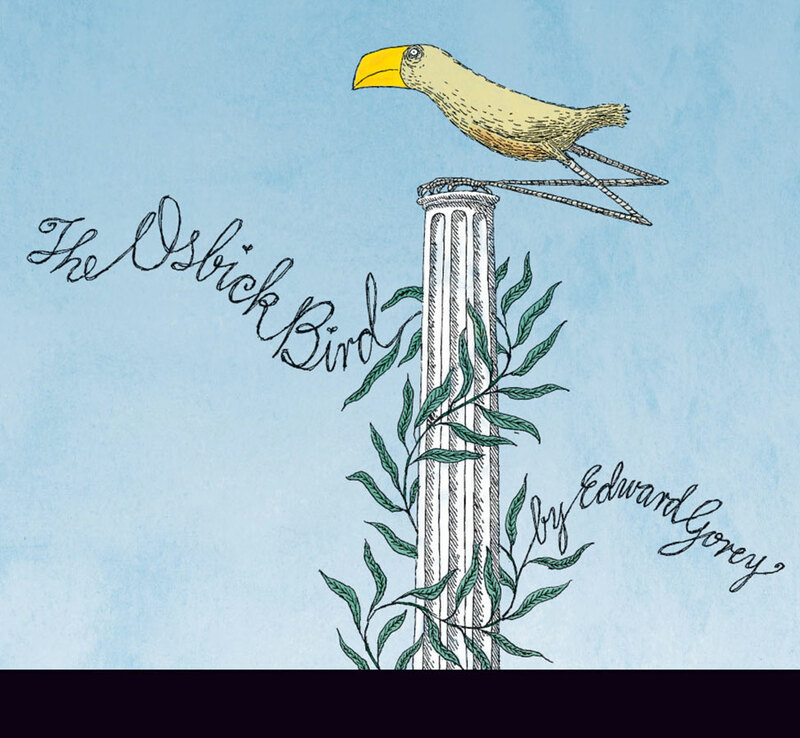 Emblus Fingby's life was changed forever with the unexpected arrival of the osbick bird. The two became inseparable companions, enjoying card games, musical interludes, and sunset strolls. They took tea together, passed the time making arts and crafts, and perhaps only occasionally had disagreements. Their curious relationship came to an end only with the utmost display of loyalty. 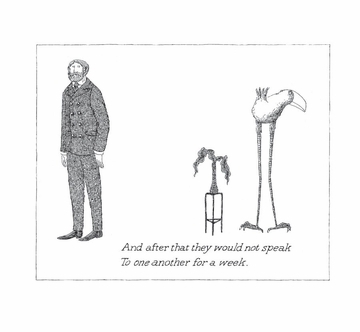 In The Osbick Bird, Edward Gorey neatly examines the uncertainties of life with his signature unsettling humor and deftly drawn illustrations. Find meaning where you will among the twinkling rhymes and crosshatched lines: Is this tender tale a primer on friendship, or possibly an examination of an artist and his muse? Though short in length, the story is sure to linger long in your imagination. 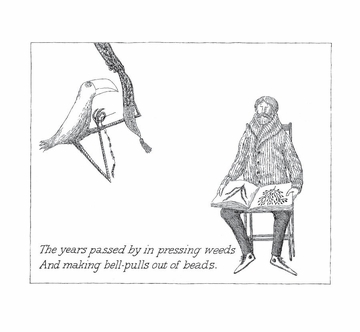 Edward St. John Gorey was a Harvard grad, a brilliant artist, a celebrated set and costume designer (his costumes for a Broadway production of Dracula earned him a Tony Award), a lover of animals (particularly cats) and the arts (he seldom missed a performance of the New York City Ballet), and an avid deltiologist—an obscure word so Gorey—like you might think he invented it himself (it means “a collector of postcards”). 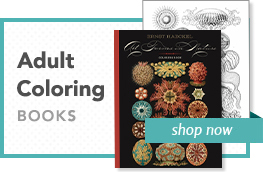 His humorously unsettling drawings of vaguely Victorian innocents often facing unfortunate ends became familiar to a wide audience after appearing in the opening credits of the PBS television series Mystery!